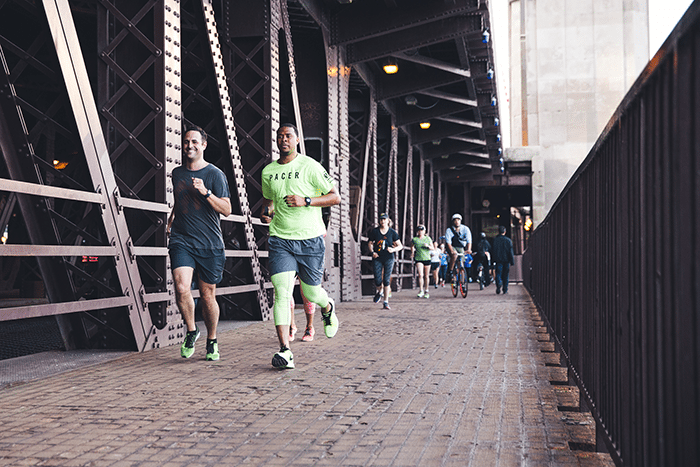 Nike is expanding its mission to bring complimentary training programs to runners with the re-launch of Nike+ Run Club (NRC) in Chicago. This city is one of 12 with NRC experiences across North America – others include Seattle, Portland, Eugene, San Francisco, Los Angeles, Orange County, San Diego, Austin, Toronto, New York City and Boston. Whether training for a fifth marathon or preparing to run the first mile ever, NRC has something for every runner. This year-round program will be customized to individual goals with the help of coaches. In Chicago, those coaches are Robyn LaLonde, Emily Hutchins, Andrew Adelmann and Chris Wehrman. 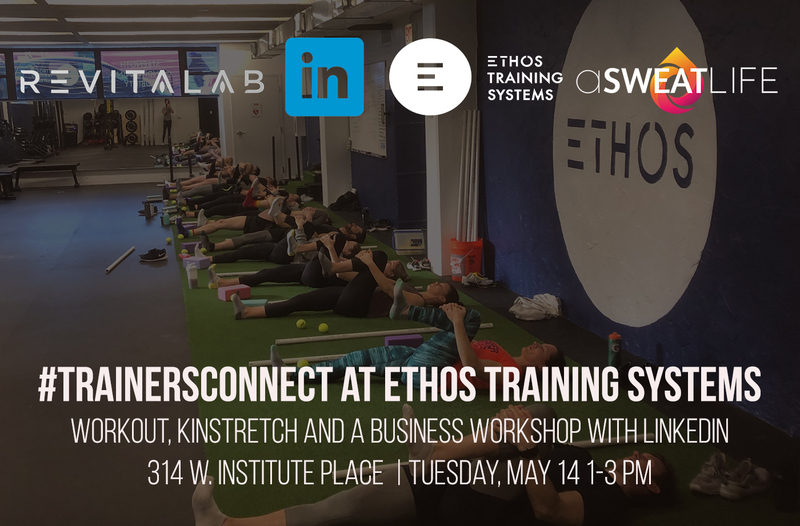 Each coach brings his or her own specialty, whether that’s cross-training to avoid injury, proper recovery or running form for both speed and performance. Coaching is the standout piece of this program. 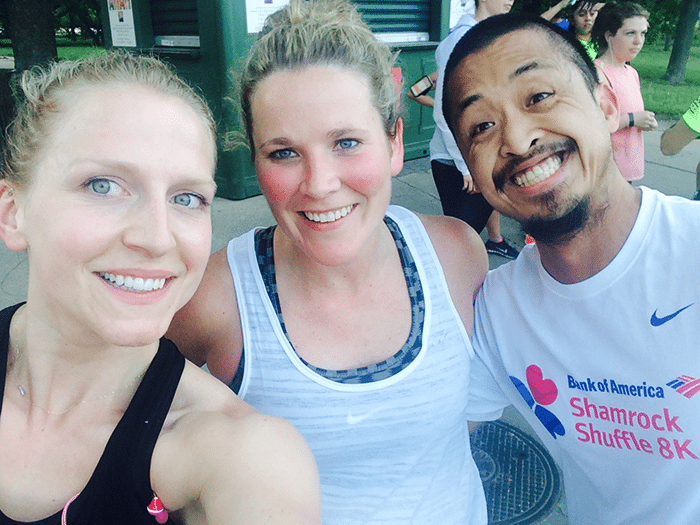 Coaches will provide one-on-one support and guidance to runners, helping them to set and exceed goals. If you’ve ever had a truly great running coach, you know it’s not all sunshine, rainbows and high-fives. These coaches will let you know when you’re holding yourself back and when you need to push harder. Alongside the coaches are the pacers, who serve an important role for each run, whether that’s warming up the runners, taking them through dynamic stretches, ensuring that there’s no bike-on-runner road rage or simply keeping them on pace. At the re-launch event, coaches explained that the program will expose athletes to five different types of workouts. Speed workouts mirror the programs that high-performing track athletes at the high school, college and professional level know and love. Four hundred meter repeats? An Oregon? 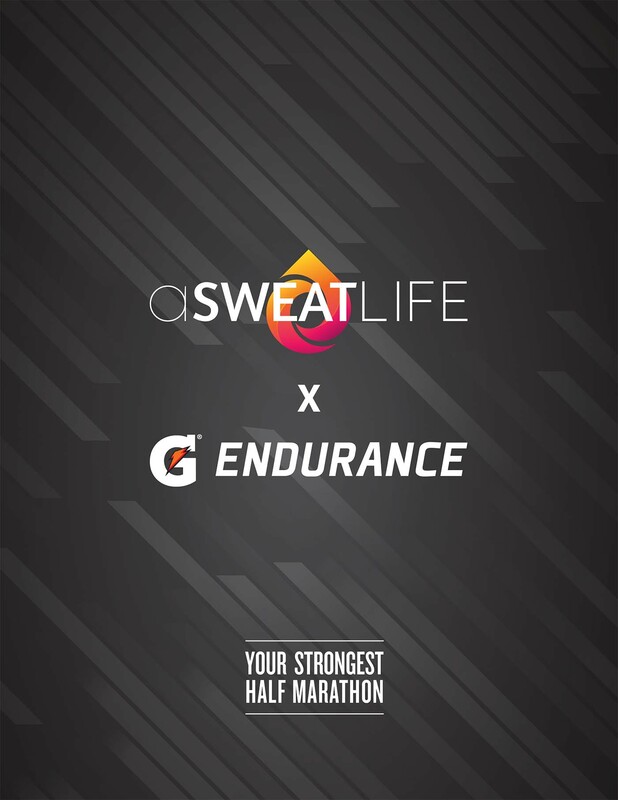 Runners will quickly learn to love these workouts and how those shorter distances can improve running at any distance. Home runs take runners on tours of the city, allowing runners to pick a pack that’s traveling their chosen distance – three, five or seven miles – on lower mileage days. H.I.T & Run programming will combine running with other exercises, helping runners to get the injury-reducing cross training that they so desperately need. These workouts will use quicker, high-intensity exercises to improve endurance, speed, balance and mobility. Long runs will be a social experience for the athletes choosing to train for the double-digit distances. 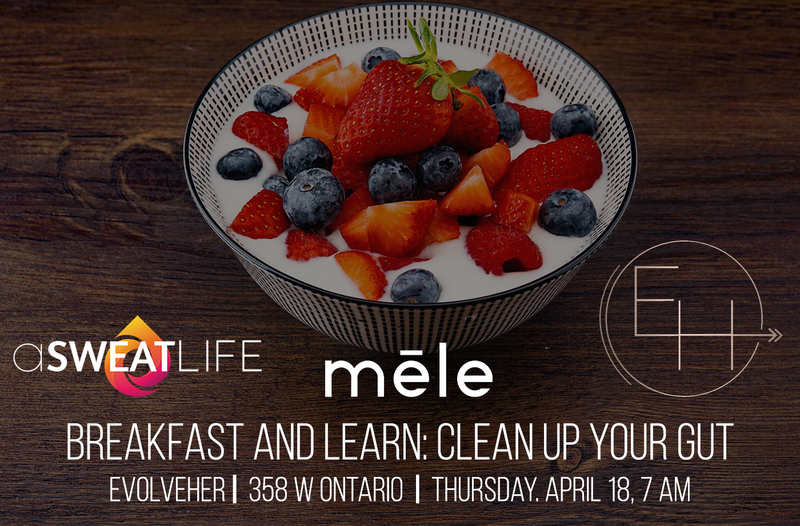 Pacers will come along with music and snacks, encouraging runners to meet their goals and chat with other runners – after all, you’re in the miles for the long-haul. 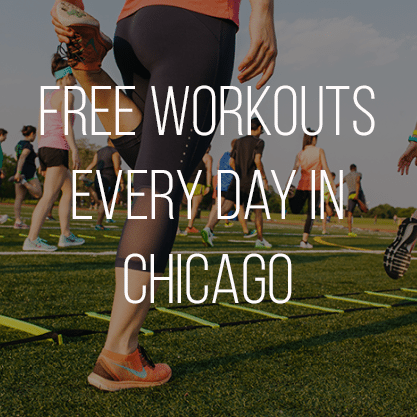 The final piece to this training plan is one that Chicago has come to know and love – Nike+ Training club. These total body workouts will have athletes jumping, lunging, squatting and taking it to the floor for burpees. 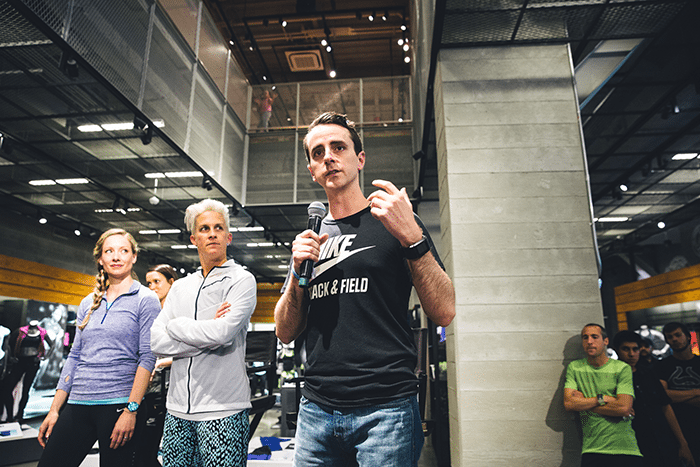 To clue Chicago into what they’re in for, Nike Chicago hosted a kick-off event on National Running Day, Wednesday June 3. At the event, athletes were introduced to their very first home run along Chicago’s sparkling Lakeshore path. Pacers carried speakers and played Nike’s running playlists to keep runners out of the anti-social headphone world. After runner’s completed the distance of their choosing, they were introduced to elite runner Dathan Ritzenhein who competes professionally and is training for his fourth Olympic trial. 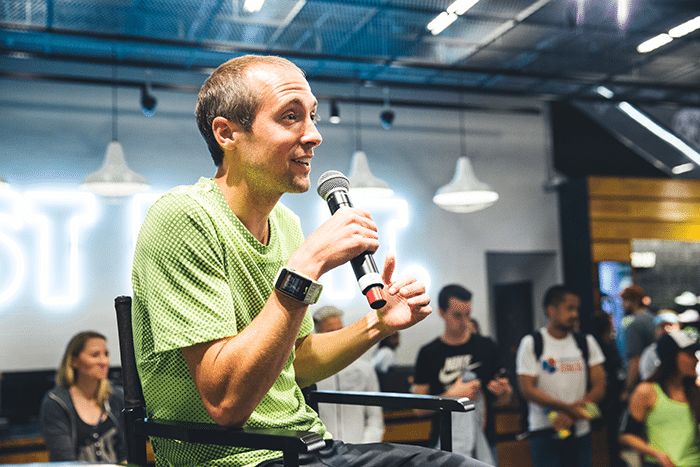 Ritzenhein – or Ritz, as his Wikipedia page nicknames him – talked through the trials of training and cross-training, with which he has a love hate relationship. Ritz now coaches himself as well as some athletes at the collegiate level. He pours hours into designing the mileage, the speed workouts and the weight lifting all based on his years of acquired expertise. Luckily runners trotting along with NRC won’t have to pour over their own plans that way, they’ll have coaches and a team by their sides. 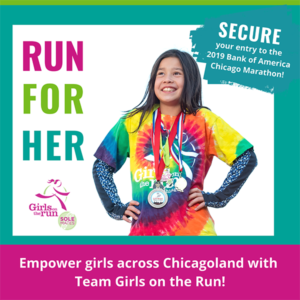 Want to sign up for NRC events in Chicago? Click over here. Learn more about NRC in other cities here.